For Bertrand Piccard, the collaboration with Breitling combines friendship and loyalty. 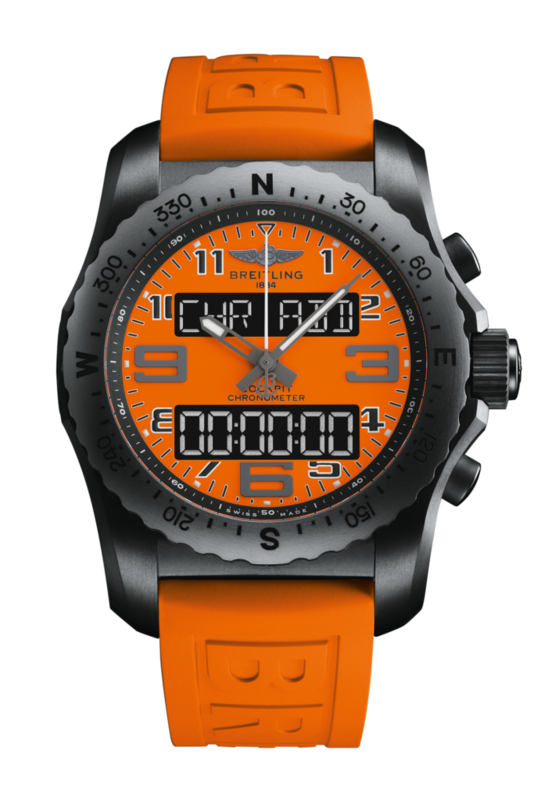 The Breitling Cockpit B50 Orbiter Limited Edition has been crafted from striking black carbon-coated titanium and is limited to 213 pieces, a number chosen to commemorate the date the Breitling Orbiter 3 landed in Egypt – 21.3. 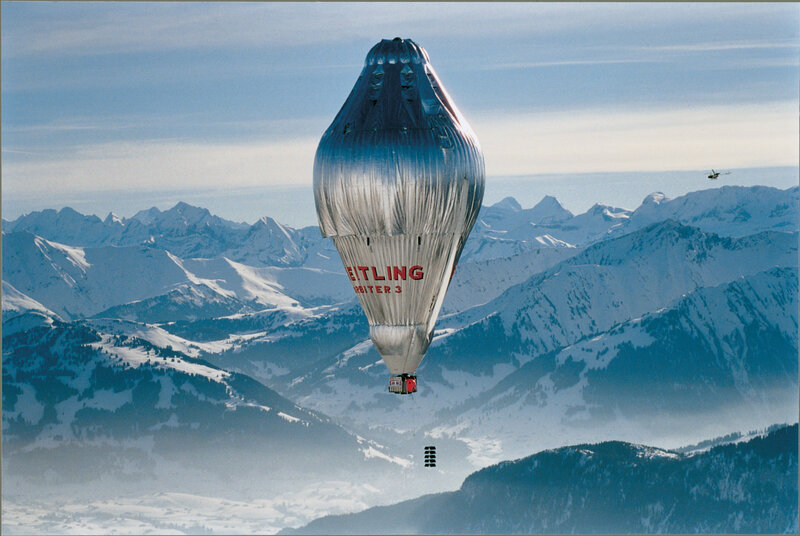 – 20 days after it had taken off from Château-d’OEx in the Swiss Alps. 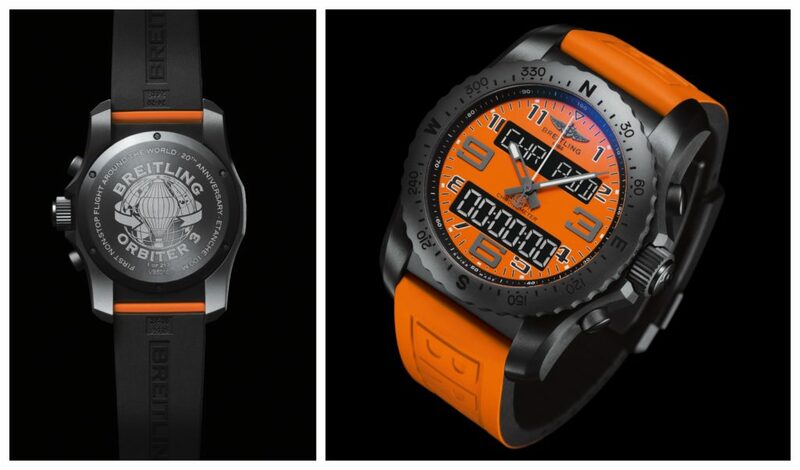 Presented on an orange rubber strap with a folding clasp and featuring an orange dial, the Cockpit B50 Orbiter Limited Edition will stand out in any crowd. The numerals, indexes, and hands are coated with luminescent Super-LumiNova®, whic h makes them legible in any lighting conditions.